Marriott Rewards® Premier Credit Card: Is It A Good Value? What the Marriott Rewards® Premier Credit Card lacks in flexibility, it makes up for through a single-driven purpose. While the card doesn’t come with a robust rewards program like Chase Ultimate Rewards, it offers a high yield on Marriott purchases, and an anniversary bonus which can be worth hundreds of dollars. We don’t recommend the Marriott Rewards® Premier Credit Card as an every-day card – it is best supplemented by a no-annual-fee good cash back rewards card like the Citi® Double Cash Card. Review: Is the Marriott Rewards® Premier Credit Card Worth It? The Marriott Rewards® Premier Credit Card offers decent rewards to people whose travel plans often include a stay at a Marriott hotel. When it comes to rewarding purchases tied to its co-branded hotels, this credit card’s 4% rewards rate shines. On top of this, every cardmember anniversary, users receive a complimentary free night stay at a category 1-5 hotel. This card lacks the flexibility offered by other travel rewards credit cards – most notably the Chase Sapphire Preferred® Card and the Starwood Preferred Guest® Credit Card from American Express. Both these cards allow users to transfer the rewards points they earn to a number of different partner programs. Additionally, the best rewards credit cards tend to offer better rewards on more varied levels of spending; the Marriott Rewards® Premier Credit Card offers poor returns on non-Marriott related purchases. There are no foreign transaction fees, however, making it an excellent companion when travelling overseas. With over 500 international locations, Marriott is a hotel well-known to those who travel abroad. Those of you who frequent Marriott properties in other countries will have the added comfort of having a credit card that won’t tack on the usual 3% fee for using it outside of the United States. Bottom Line: The Marriott Rewards® Premier Credit Card does two things very well – it rewards purchases with the co-branded chain very well, and it gets users 1 free night stay every year. If you’re looking for a rewards card that does more, or gives you more breathing room, we recommend turning to other options. The Marriott Rewards® Premier Credit Card rewards individuals with points whenever they spend. Users get 5 points per $1 whenever they make purchases at Marriott locations, or the Ritz-Carlton®. 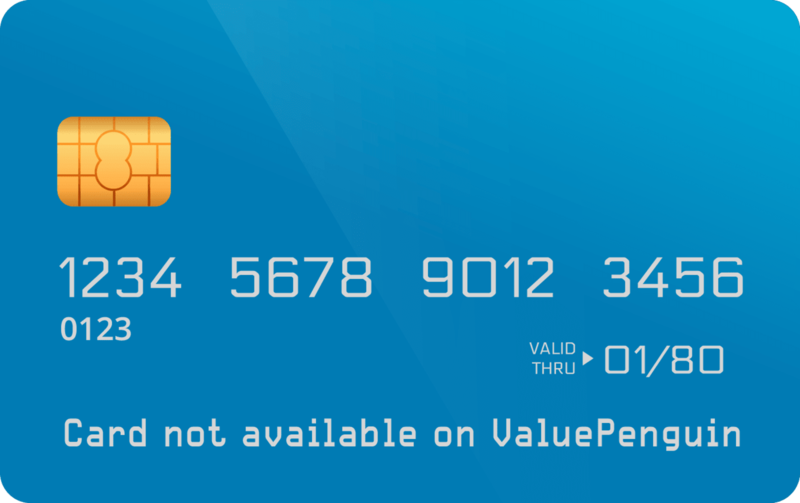 If the card is used to pay for airline tickets purchased directly with an airline, at a car rental agency, or at a restaurant, the cardholder will earn 2 points per $1. All other purchases that don’t fall into one of the above mentioned categories net just 1 point per $1. Together, this bundle of benefits and rewards makes this a must-have for any dedicated Marriott customer. Currently, the welcome bonus on the Marriott Rewards® Premier Credit Card stands at 100,000 points. To earn these, an individual needs to spend $5,000 on purchases in the first 3 months their account is open. If you had a Marriott Rewards® Premier Credit Card account in the past 2 years and closed it, you will not qualify for this offer. Additionally, note that to in order to qualify, the $5,000 must be reached through purchases alone – this means balance transfers, cash advances, and things like that do not count. Rewards Rate: How Much Are Marriott Rewards Points Worth? Depending on how you redeem the points you earn, you can get anywhere between $0.002 and $0.008 per point. Generally, your best value can be gotten out of using points to book hotel stays, which is what we recommend and what our analysis will focus on. For example, we looked at a sample itinerary in a category 5 hotel, where a 1 night stay costs $200 or 25,000 miles. We extract the value per point through the Marriott Rewards card by dividing the dollar cost of a stay by the same cost in points. In our example above, that would be $200 / 25,000 = $0.008. When you redeem your points for things like flights, car rentals, and cruises the point value plummets by about 75%. We determined the rewards rate on the Marriott Rewards® Premier Credit Card to be anywhere between 0.8% and 4% when you use it for hotel stays - that is because you get anywhere between 1 and 5 points for every $1 you spend. The rewards rate is calculated by multiplying the point earning rate by the point value (e.g. 5 x $0.008 = 4%). A good cash back credit card can earn users a 2% rewards rate on all their spending – this is usually a barometer used to measure a credit card’s worth. A 4% rewards rate on the Marriott Rewards® Premier Credit Card is fantastic – unfortunately this rewards rate is limited strictly to Marriott and Ritz-Carlton purchases. All other spending will get you a 1.6% rewards rate all lower. You can find out more about the different available redemption options by reading our comprehensive guide to the Marriott rewards program. Each year after your account anniversary, you will receive 1 free night stay in any category 1-5 hotel. This is, quite possibly, the best benefit offered by this card. One night is worth approximately $200 – though this number will fluctuate depending on when and where you choose to use it. Still, as long as you are getting a value of $85 or more, and using this benefit every year, you will be coming out ahead – this benefit is enough to make up for the card’s annual fee. This benefit is awarded in the form of a ‘Free Night Stay E-Certificate’, which is issued once a year. This certificate is valid for 12 months since it is issued. Therefore, it is not possible for you to get the card and stack a few free night stays together, to be redeemed at one time. If you don’t stay in a Marriott property at least once a year, this benefit will be wasted. When you are first approved for this card, and every membership year after that, you will be automatically awarded 15 Elite night credits. This will automatically grant you “Silver Elite” status with Marriott, which comes with a slew of benefits, all of which can be viewed here on Marriott’s website. You will earn 1 additional Elite night every time you spend $3,000 on your card. For individuals who are just a couple nights shy of gold/platinum status every year, this can be a nice perk. Otherwise, we don’t see much use for it. You would need to spend over $100,000 annually in order to get “Gold Status” through this benefit alone – even more to get “Platinum”. The Chase Sapphire Preferred® Card, one of our favorite credit cards, is an excellent choice for individuals looking for flexibility and variety. The Marriott Rewards® Premier Credit Card is a card tied to the Marriott brand – if you aren’t interested in rewards that will only allow you to earn additional stays at their properties, you should look elsewhere. To that end, the Marriott credit card will earn you higher rewards on Marriott spending (up to 4%). The Ultimate Rewards points you earn through the Chase Sapphire Preferred® Card, on the other hand, can be used as statement credit, or traveled to a number of different partner programs (including Marriott, Southwest Airlines, and more). This increased flexibility comes with the tradeoff of the rewards rate, which is anywhere between 1.25% and 2.5% (2 points per dollar, or 1 point per dollar, multiplied by the 1.25 bonus when redeeming for travel on the Chase portal). The king of hotel credit cards, the Starwood Preferred Guest® Credit Card from American Express offers amazing rewards that can turn into free night stays or free airline flights all for a $95 annual fee (waived for the first year)(See Rates & Fees). The Starwood Preferred Guest® Credit Card from American Express rewards rate dances between 1.8% and 5.4% (based on our estimated point value of $0.009 multiplied by the points earned)- the higher end being reserved for spending at SPG and Marriott Rewards properties. The Starwood Preferred Guest® Credit Card from American Express offers a solid rewards rate on all your spending – making it a great general purpose credit card. The points you earn can also be transferred to several airline frequent flyer programs, adding to the flexibility of this card’s rewards. The Ritz-Carlton Rewards® Credit Card is a premium credit card, which comes with a hefty annual fee of $395 a year. Despite this price tag, the Ritz-Carlton Rewards® Credit Card can be worthwhile – especially if you take advantage of all the bonuses it offers. The card comes with a 10% annual points premium, $300 annual travel credit, and $100 hotel credit – all features which more than make up for the annual fee. If you can take advantage of all these features, year-after-year, the Ritz-Carlton Rewards® Credit Card will certainly net you better rewards than the Marriott Rewards® Premier Credit Card. Otherwise, we recommend going with the far less expensive Marriott Rewards® Premier Credit Card. In case you don’t want to work through the math yourself, you can use our interactive tool below to calculate the rewards rate of credit cards for you. Choosing a credit card is a highly personalized venture, we recommend taking the time to evaluate your spending, to find a card that will provide you with the highest overall returns.